Careful preparation of pace notes is a huge part of rallying as drivers and co-drivers have to take note of every aspect of the stage - which corners to cut, where the road is slippery, where ditches and large rocks are, everything. One thing they can’t prepare for, however, is the sudden appearance of a cheery-looking dog going about his business. 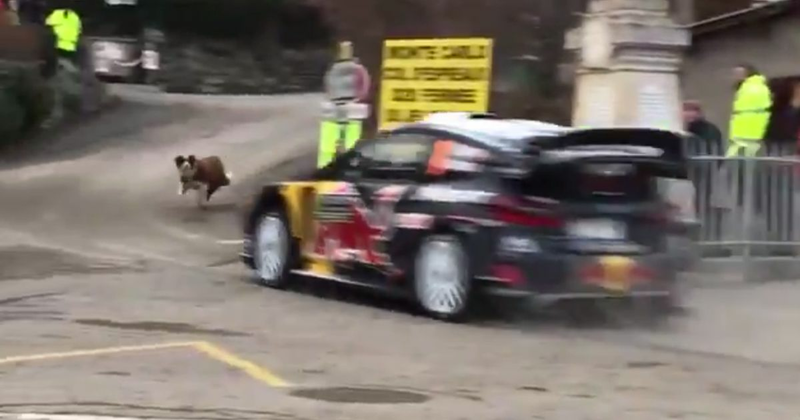 That’s exactly what happened to Sebastian Ogier on the first stage of the Monte Carlo Rally when a particularly bold woofer chose the worst possible time to cross the road. There you have it, proof that you need to be barking mad to run out in front of a rally car.